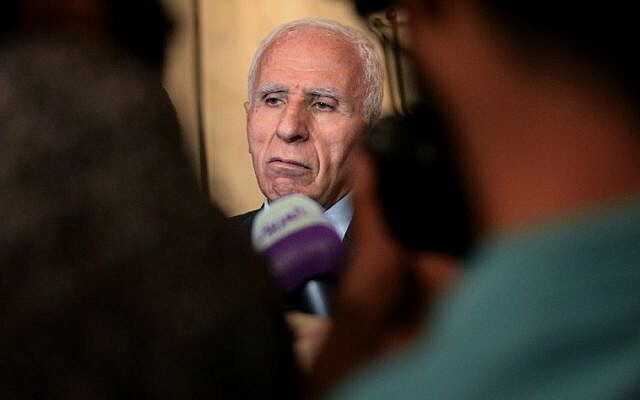 Azzam al-Ahmad, the head of Fatah’s delegation for Palestinian reconciliation, on Monday night said Iran is the “number one sponsor” of division between Palestinian factions. Fatah, which dominates the Palestinian Authority, and Hamas, the Islamist terror group which has controlled the Gaza Strip since it seized the enclave in 2007, are currently in the midst of a reconciliation process that began in October. Iran was once Hamas’s largest backer, but relations cooled after Hamas refused to back Iran’s close ally Syrian President Bashar Assad in his country’s civil war that began in 2011. 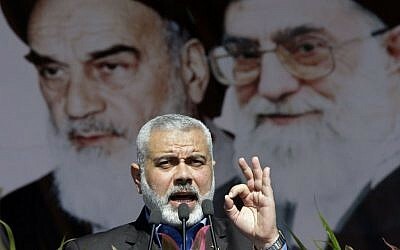 However, this year, after Hamas received new leadership in the form of political bureau chief Ismail Haniyeh and Gaza chief Yahya Sinwar, relations between Tehran and the terror group have been restored. In August, Sinwar said Iran is now “the largest backer financially and militarily” of Hamas’s armed wing. Since the Palestinian reconciliation process began in November, Hamas delegations led by Hamas’s number two Saleh al-Arouri have twice visited Iran and met with senior Iranian officials. During those meetings, the Iranian officials pledged to increase their military support for the Gaza-based terror group. Before signing the unity deal, Hamas was seen as having its back to the wall after its former top patron, Qatar, came under fire from Gulf allies for supporting it. Palestinian Authority President Mahmoud Abbas has said he does not want any country interfering in the reconciliation process, except for Egypt, which is sponsoring the talks. Fatah signed a deal with Hamas in Cairo last month that would see the terror group’s 10-year rule in the Gaza Strip come to a close by the end of November. PA officials, however, have accused Hamas of dragging its feet in implementing the accord. “The [PA] government until this moment, financially, administratively and security-wise, has not been set up [in Gaza] more than five percent,” Palestinian Authority Minister of Civil Affairs Hussein al-Sheikh said on Sunday. Many consider the most difficult obstacle facing the reconciliation process to be the fate of Hamas’s 25,000-strong military wing. 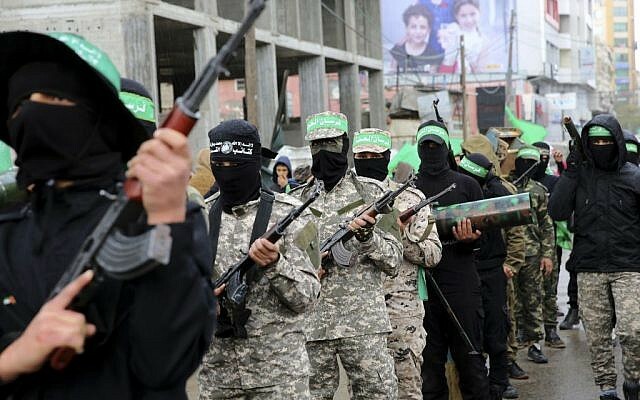 Abbas wants the PA to be in full control of all weapons and security in the Gaza Strip, but Hamas is refusing to give up its arsenal. Hamas, which seeks the destruction of Israel, has fought three wars with Israel since seizing power from Fatah in the enclave in 2007. Sheikh made it clear that the issue of Hamas’s weapons continues to be a major sticking point between the two sides. “Weapons are not a factional or an organizational issue. We will not allow anything but one gun and one law” in Gaza, said Sheikh, echoing previous statements by Abbas.